Farmers in the Eston, Mid-Illovo and Richmond areas of KwaZulu-Natal have been praised by the President of Agri Eastern Cape, Doug Stern, for the “overwhelming and unbelievable” level of support and generosity they have offered to drought-stricken farmers in the Eastern Cape. Speaking at a meeting of the Mid-Illovo Farmers’ Association (MIFA), the Beaumont Eston Farmers’ Association (BEFA) and the Richmond Agricultural Society (RAS) held on Wednesday, 27 September at the Eston Country Club, Stern explained how the drought has not only caused an agricultural and financial crisis but has also had an impact on the South African economy. And with the Eastern Cape accounting for a third of all livestock in the country, “this is now a national crisis,” he said. “This is the third consecutive year that the province has had way below average levels of rainfall. As a result, our farmers have had to drastically reduce their stock levels in order to survive and, in trying to keep what stock they do have alive, they have now exhausted all funds available to them to keep afloat,” said Stern. One of the people leading the charge of the aid initiative in Mid-Illovo is Farm Manager MJ Hillhouse, who, after receiving a desperate plea from a fellow farmer in the Aberdeen area of the Eastern Cape, raised the call for help with his local farming community. At first, Hillhouse merely asked for donations of animal feed as well as any financial contributions to assist with the transportation of the feed but was met with such generosity that the operation quickly expanded to include a full baling process. Hillhouse said the response to help has been overwhelming and where farmers have not been able to contribute to the relief efforts financially, they have offered the use of machinery, labour and their own time. 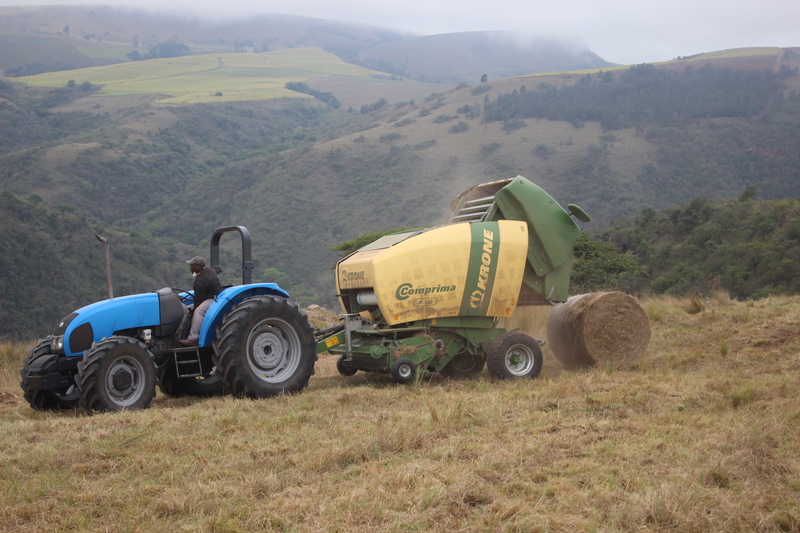 Since the initial call for aid was raised in early September, already around 31 interlink truckloads of grass bales have been delivered to those worst affected in the Eastern Cape, along with four truckloads of yellow maize and a 34t load of molasses. Currently, there are 72 truckloads of grass, two of yellow maize and one more load of molasses ready to be transported. Word has also spread as far afield as Winterton and Ladysmith, where local farmers there have been keen to join the cause. Sandy La Marque, CEO of the KwaZulu-Natal Agricultural Union, Kwanalu, commended Hillhouse and the farmers who have been so willing to get behind this aid effort. 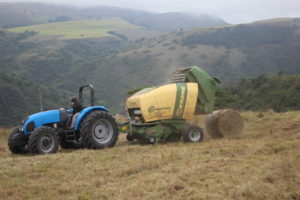 “Everyone can sympathise with the plight of farmers in the Eastern Cape who have been so badly affected by the drought and it is our farming communities across KZN who continue to do us proud at every turn with their selfless commitment to assisting those in need regardless of the demands on their own time and pockets,” La Marque said.